Get your newspaper copy of The Onion while you can. The Chicago-based satirical publication released its last print edition Thursday as it plans to move to an all-digital format. 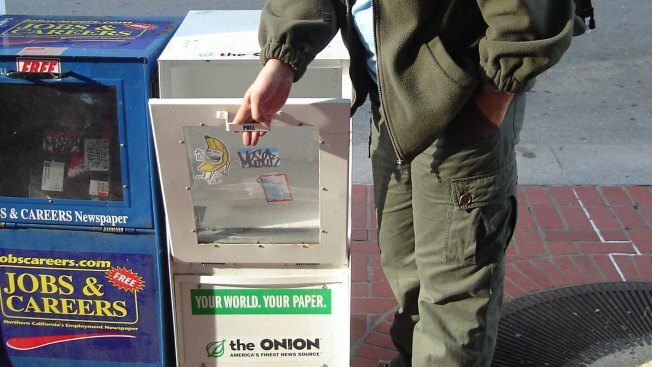 While the newspaper form of The Onion remains in circulation in Chicago, Milwaukee and Providence, R.I., it steadily withdrew from multiple markets over the past several years. It also reduced its number of newsprint pages and ran fewer ads. Over the summer, the publication discontinued its print edition in Madison, the Onion's founding city and the site of its first newspaper in 1988. The Onion consolidated its media operations and moved from New York last year to Chicago's River North. "The Onion leaders attribute the relocation to the Illinois tax credit for web video, TV and film production," the team said last year, "as well as the city’s comedy scene and proximity to Hot Doug's Encased Meat Emporium and Hotdog Superstore. The city welcomed the move, dubbing July 31 "The Onion Day."